This past weekend I attended Coachella for the first time and I had a blast. Between the music and all the eye candy walking around the grounds, I was in heaven. I have to say it was some of the best people watching I have ever experienced. The thing about the people watching at coachella that makes it different than say NYC or Paris is the amount of beautiful people that were there. I honestly haven’t seen that many beautiful people all in one place before…especially all half clothed. Since it was my first experience, I was taking it all in the entire time I was there. I really couldn’t focus on taking pictures of people, I wanted to be able to experience all of the visual magic without feeling like I had to document everything. I knew everyone else out there would be sharing all of their Coachella style photos so I took a break from the camera. I know you have seen all of the fashion round-ups of the style at coachella which of course consists of the usual festival gear: denim cut offs (this time they were high waisted), maxi dresses and hats, bikinis and crochet, lace tops, high low skirts and transparency. At coachella, its usually the more random the combination of things, the better when it comes to the outfits. My friends and I had VIP and All Access passes (thanks to The Black Keys manager), which allowed us to pretty much go wherever we wanted. What a way to experience Coachella for the first time! What I quickly noticed was that all of the kids(twenty somethings) were out in general admission, all of the Europeans and celebrities were in VIP, and all of the band related people were backstage with All Access. This provided a very diverse presentation of fashion for me to witness as well as a few major moments backstage with the artists. One of my favorite moments of the weekend was standing backstage when Florence Welch of Florence and The Machine was “getting pumped up” for her show. She was in this amazing flowy transparent dress ( a definite trend of coachella) and was listening to music in these big headphones and was jumping around like she was getting ready for a boxing match. Her band was around her and they were all swirling and you could feel the energy around them rising. They all put their arms around eachother and Florence jumped up and down and then in a flash they were all on stage. It was quite a special moment and I think I was the only one around that witnessed it. AMAZING!! From a fashion perspective, I wanted to share with you two looks that I felt were big trends for the more fashionable crowd and trends that I thought were a bit more directional. There were two things that I saw a lot of while I was walking around the VIP section: cropped ankle cowboy boots with short simple dresses and high tops styled in a feminine way. Funny enough, both of the looks I spotted were styled with shoes by Isabel Marant. Although most of the looks pictured are styled with Isabel Marant’s boot, there were also plenty of gals sporting this look with other cropped ankle cowboy boots from Steve Madden and various other designers. There is not a lot to this look, but it resonated with me as a big trend for summer and something we will be seeing as a different way to style your summer dresses. My favorites were just the very simple tank or sheath dresses paired with the boots. I love this look for summer and I plan on shopping for my ankle boot this weekend. 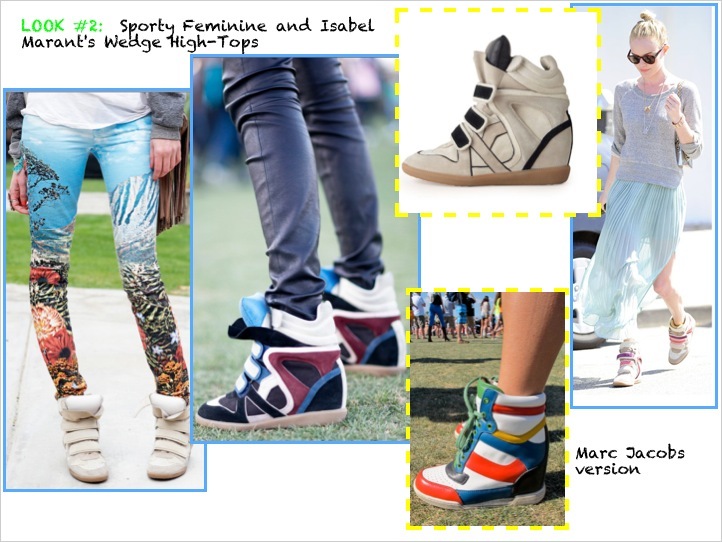 The other BIG trend I saw over the weekend was Isabel Marant’s wedge high tops. 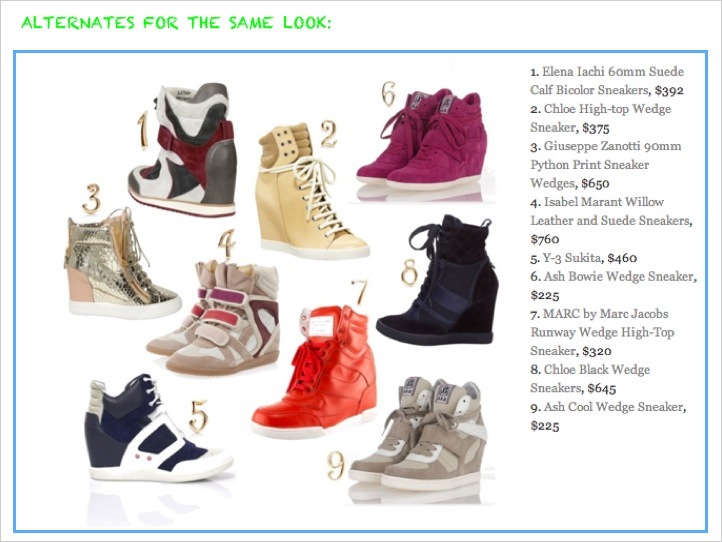 The look was to pair the high tops with a feminine sporty ensemble from tank dresses to maxis. They were wearing the high tops with long and flowy feminine dresses which I loved and they were also wearing them back to shorts and tank tops. Maran’ts weren’t the only style of high tops I saw, I also spotted Marc Jacobs and Y3′s as well as other unknown brands. I’m seriously obsessed with Marant’s version and have been scouring the websites looking for a pair to buy. I love the sporty vibe but I especially love it back to feminine pieces like Kate Bosworth is wearing it above. It was a great weekend and I look forward to next year in hopes that I get hooked up as much as I did this time! I think it might be hard to experience Coachella as a regular attendee after having the experience that I did, but I’ll cross my fingers and hope for the best. Images from Refinery29, Bazaar.com, and Racked.